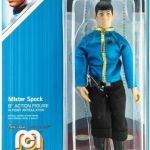 Five new action figures will be coming soon courtesy of Mego and NJ Croce. 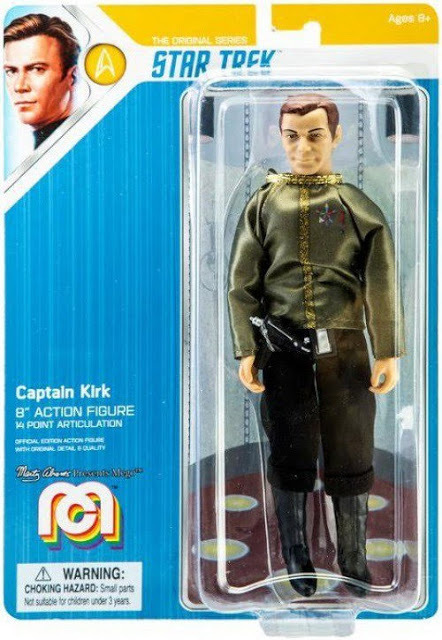 The figures include four original series figures, and one from The Next Generation. 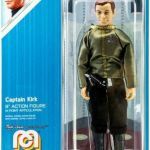 This fourth wave from Mego features new packaging and will start shipping in March. 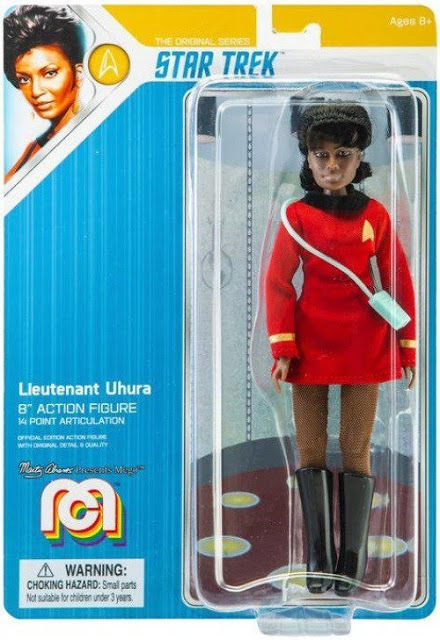 The figures include Uhura, with a different hairstyle; individual Kirk and Spock in dress uniforms; and a Romulan commander. 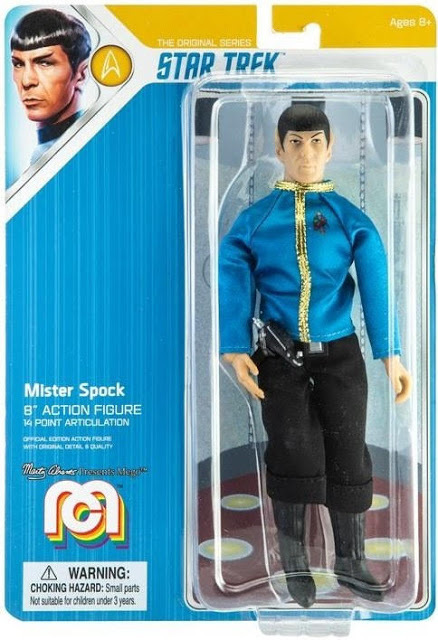 These Mego figures should be easier to obtain than previous waves as they are no longer Target exclusives. 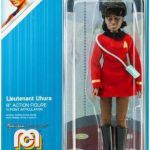 Toywiz is taking pre-orders for the figures here for the Uhura figure. 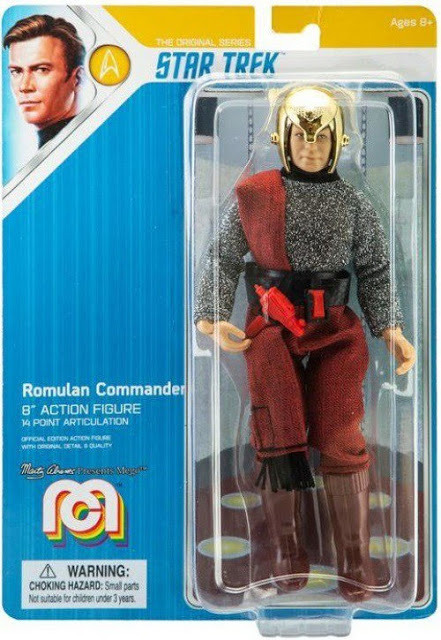 At the bottom at that page, the other figures can also be pre-ordered. For those wanting all four, there is a small discount when ordered together. 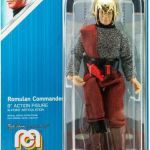 Next up are bendable action figures from NJ Croce. 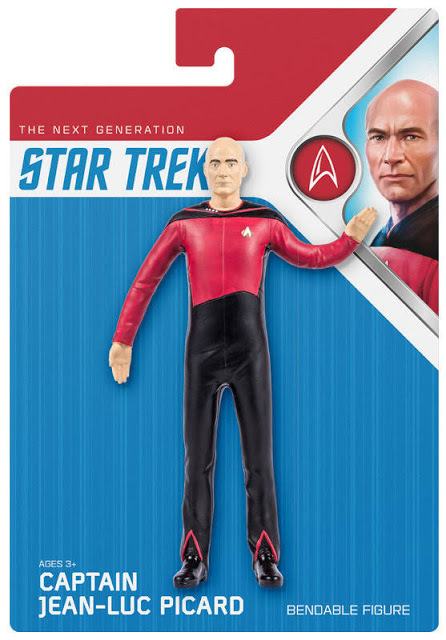 The first action figure in this range will be Captain Picard in a Season One uniform. 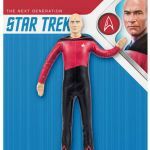 The Captain Picard Bendable Figure will sell for $8.99. Click on thumbnails to see larger-sized photos of the figures.